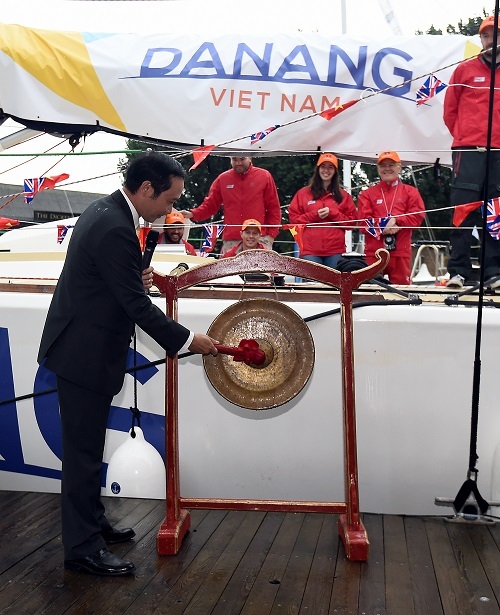 Inaugural Host Port and Team Sponsor Da Nang City made an historic first visit to London today to officially name its Da Nang-Viet Nam yacht entry and celebrate the powerful spirit of cultural exchange. 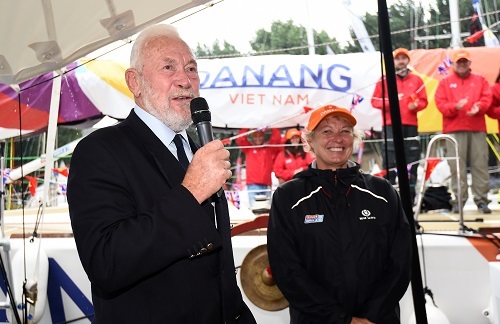 The Embassy of Vietnam in the United Kingdom invited more than 100 guests from the Vietnam government VIP guests including the Deputy Lord Mayor of London, UK based Vietnamese businesses, artists and media, to meet the Da Nang-Viet Nam crew and skipper. 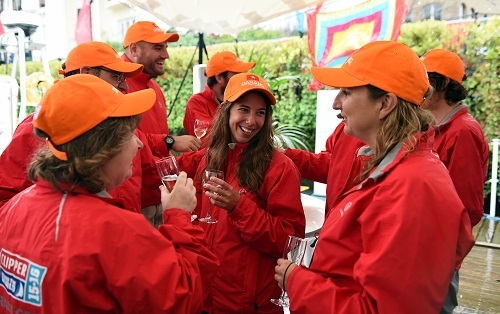 Guests braved heavy August showers to mark the presence of the team in one of the most competitive and challenging sports activities in the world. Telling the audience how much the Clipper Race means to Da Nang, the Vietnamese Ambassador of Vietnam to the UK, his excellency Nguyen Van Thao said: “Since 1996 the Clipper Race has visited 55 different stops all over the world but next year in February will be the first time the Clipper Race will visit Vietnam. This marks a milestone of the relationship between Vietnam and the UK. David Cameron became the first serving British prime minister to visit Vietnam when he made his official visit last month on a mission to boost trade. The visit, 40 years after the end of the Vietnam war, marked a milestone in the relationship between the UK and the south-east Asian country, which has one of the fastest-growing economies in the world. Today's visit to London was the first time Da Nang had visited the UK, with the city aiming to use the race’s global platform to boost international trade, investment, economic impact and tourism whilst also enhancing its social, cultural and diplomatic relations with the UK and many countries along the race route. Da Nang-Viet Nam round the world crew member Matthew Ogg, 28, a PR consultant from London, said: “It was a pleasure to meet the ambassador to the UK from Vietnam and get a first taste of their culture. I think it got the whole crew really excited for when we finally get to Da Nang. It’s definitely going to be the best stopover for us and I think we’re very lucky to have them on board.